Vampire Counts Blood Knights - Kings of War! 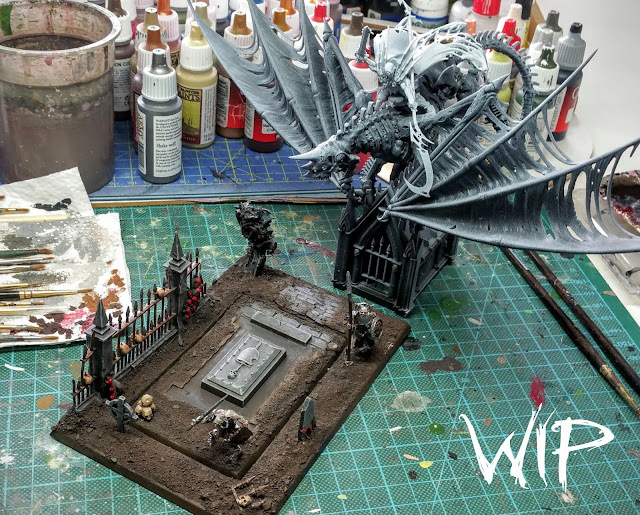 After a long break from the hobby, mainly because Games Workshop killed Warhammer Fantasy and took any motivation away from me to paint or even get some games in, I finally went back to some painting. What brought me back and has been my personal light at the end of the tunnel, was Mantics Kings of War 2nd Edition! 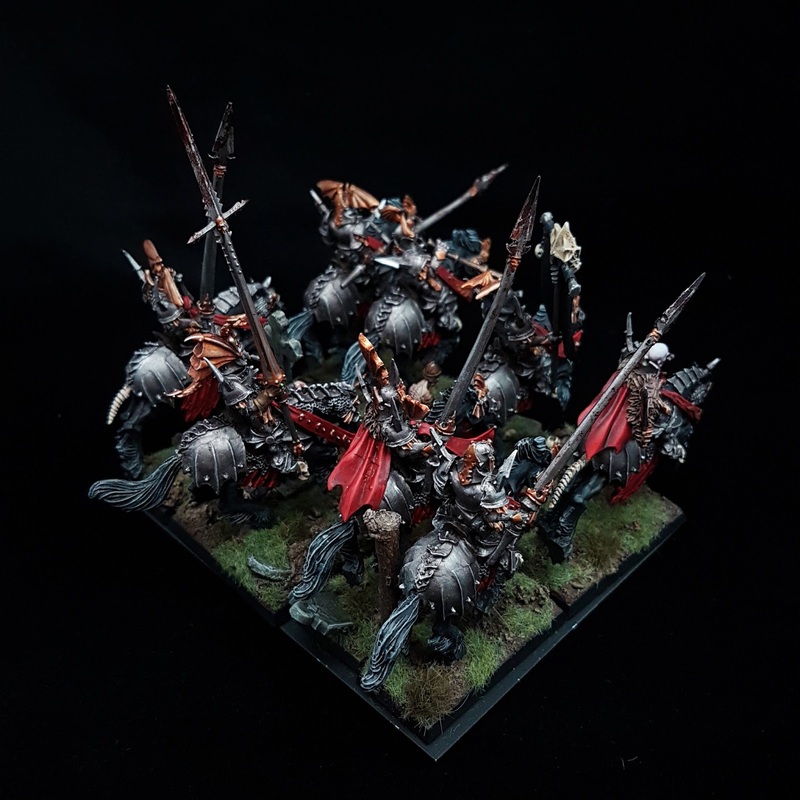 What a great game, it is not just an alternative to Warhammer, it´s even better! 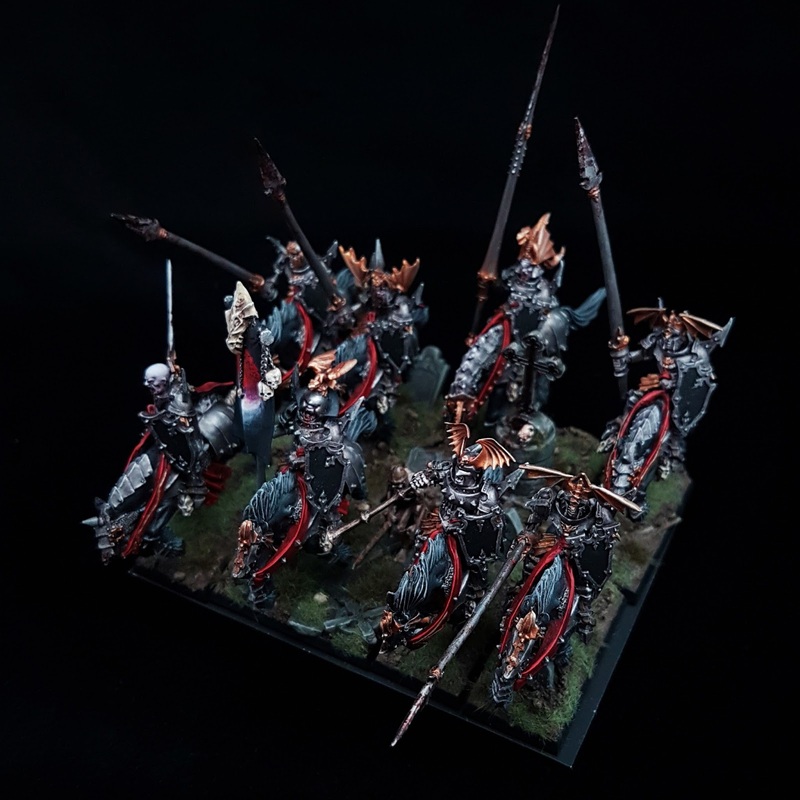 - You can use your Warhammer models and rules are free. - More about the game than the rules! As a Warhammer veteran, there is actually no reason NOT to try it out! 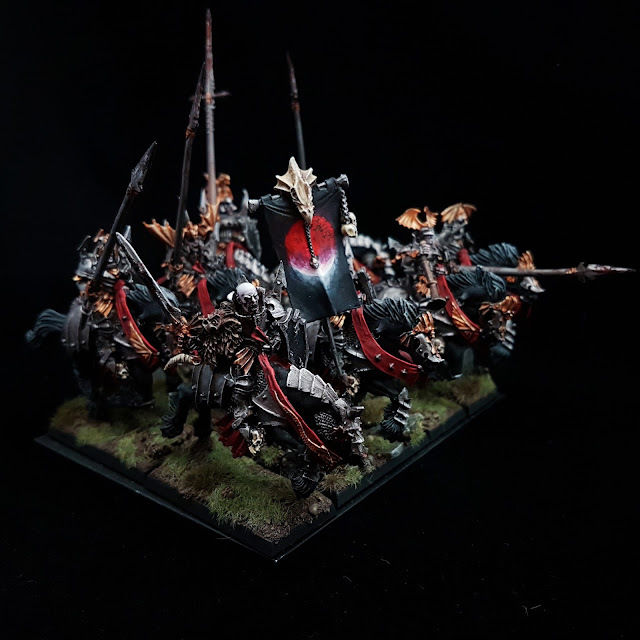 In expanding my Warhammer Vampire Counts army to Kings of Wars Undead army, I´ve built and painted a unit of Blood Knights. The models are from Games Workshop but I´ve also used some heads from hero vampire models for more variety. The next project, already been started, is the Vampire Lord on an Undead Dragon! Wow, I have never really liked the models, but your paintwork might have changed my mind. 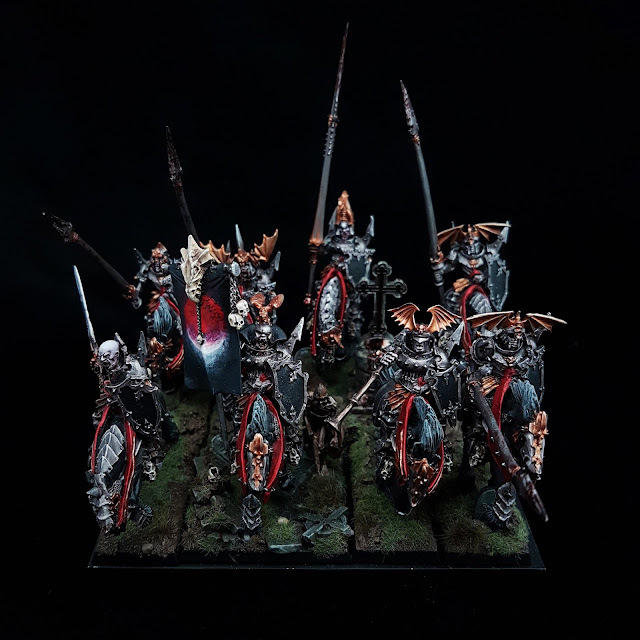 Great work, I like the little extras on the bases, and you've painted them brilliantly. So, Kings of War eh? I'm still adrift myself, it it really a worthy successor to Warhammer?